After my wife and I got married we decided that we would slash our spending and start tracking our expenses so we could save aggressively for a down-payment on a home for us. This wasn’t the birth of our budget rather we were spending less than we earned but we had no idea how much savings power we gave up going this route until the CBB Budget was created. Once we felt we were nearing our 20-25% down-payment goal that we wanted to have for a house priced around the $200,000-$300,000 price tag we started chatting with a real estate agent. Thankfully we have a friend who has been servicing our community as an agent for many years. Since I was new to Canada one of the questions that came up was whether we could participate in the RRSP Home Buyers Plan (HBP) in Canada for first time home buyers. It was clear that I had never purchased a home in Canada before but this wasn’t Mrs. CBB’s first rodeo in real estate. It was still worth looking into though. If the HBP means nothing to you right now don’t worry I felt the same at one point which is why I had to learn about the process and whether we would qualify for it or not. What is the Home Buyers Plan (HBP)? In a nutshell it is a federal system where you are borrowing money from your Retirement Savings Plan (RSP) and using it towards the down-payment to purchase your first home. This system is widely known as the RRSP Home Buyers Plan. This is the only time you can do this without penalty. The catch is you still have to pay yourself back or risk your income tax return taking a hit. You will either pay it back in 15 years (1/15th per year), or the 1/15th amounts are added to your yearly taxable income. This means you essentially have two mortgages a bank mortgage and an RRSP mortgage to pay back. 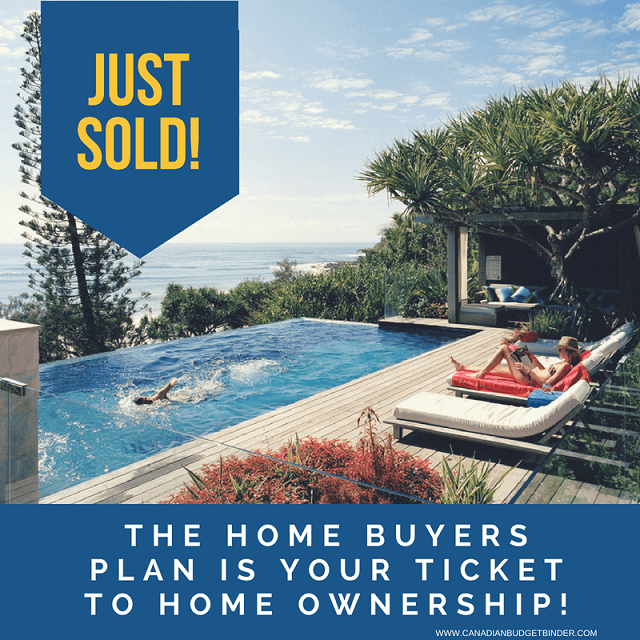 The Home Buyers’ Plan (HBP) is a program that allows you to withdraw up to $25,000 in a calendar year from your registered retirement savings plans (RRSPs) to buy or build a qualifying home for yourself or for a related person with a disability. Who would be considered a person with a disability? Person with disability – you are considered a person with a disability if you are entitled to the disability amount. For purposes of the HBP, a person with a disability includes you or a person related to you by blood, marriage, common-law partnership or adoption. A related person with a disability does not have to reside with you in the same home. Am I eligible to participate in the Federal HBP? Well, yes and no depending on a couple of factors. You must have a written agreement to buy or build a home for yourself. Unless you are a person with a disability or you are helping a related person with a disability buy or build a qualifying home, you have to be a first-time home buyer to withdraw funds from your RRSP(s) to buy or build a qualifying home. You must meet RRSP withdrawal conditions to participate in the Home Buyers’ Plan. You or anyone else related to the home purchase with or without disability can own the home for more than 30 days before you withdraw the money. You must intend to occupy in the qualifying home as your principle place of residence within one year after buying or building it. If you don’t qualify for the RRSP Home Buyers’ Plan you can most certainly use money from your Tax Free Savings Account or Savings that you have set aside for your down-payment. Ideally, saving as much as you can before buying a house is the best way to go. We managed to pay our $265,000 house off in five years with an $80,000 down-payment and again using the aggressive pay-down method. What is the Aggressive pay-down method? This is where we put as much money as we could each year into paying down our outstanding mortgage along with accelerated weekly payments. It was more about security than it was having a mortgage so paying it off was most definitely a priority. Ultimately we didn’t qualify for the RRSP Home Buyers Plan since Mrs. CBB had been a homeowner in Canada over a 5 year period previous but you might be eligible so don’t pass it up. Whether Home Buyers Plan is right for you depends on how important debt freedom is to you, how fast you want to get there and what your short and long-term financial goals are. I also wasn’t aware that RRSP investments must be in the plan for 90 days before you are able to get the tax deductions and only if it is done in the same year. Unfortunately I was just starting work in Canada and didn’t have the money to invest into an RRSP at the time since my money was back in the UK but my wife did. It wouldn’t have mattered though since we were disqualified from the RRSP Home Buyers Plan but we felt better that we explored the option. When you are unsure it’s important to talk to the professionals in the finance industry who understand investing and the RRSP Home Buyers Plan. Even when you think you know it all there is always something to learn especially when it comes to purchasing a home. If there is money to be made or money to be saved you most certainly want to dig your nose into a financial situation that is right for you and your bank account. Discussion: Did you use the RRSP Home Buyers Plan to purchase your first home? Contribution: This post was sponsored by Sun Life Financial but all opinions are my own as I am a Sun Life Customer.